If you are something of a petrol head or looking for something a little different in the way speakers. This pair of unique Jerrycan Speakers might be the perfect match for your pad and music system. 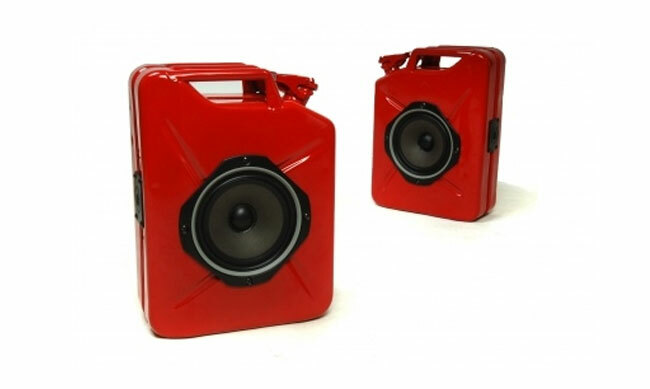 The Jerrycan Speakers have been designed by Ben Parker as part of his new designs for 2011. They are constructed using recycled jerrycan fuel canisters together with recycled insulation and are available in a range of finishes. 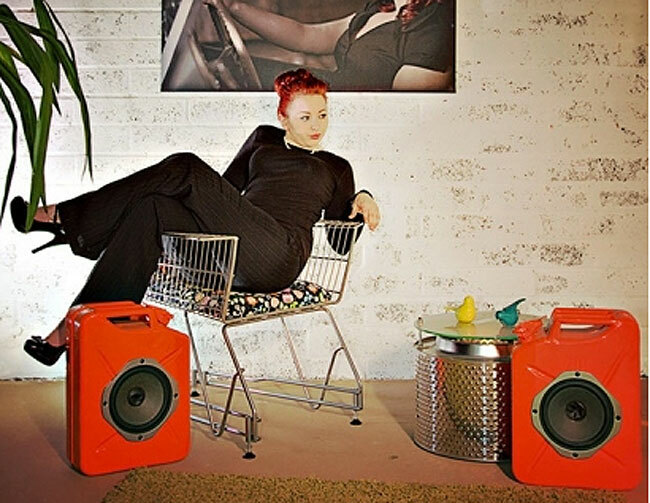 The Ben Parker jerrycan Speakers are now available to purchase from the reestor: contemporary eco design website for £285 + P&P and finishes include black, white, apple green, cheeky pink, duck egg blue, pumpkin orange or as shown in cherry red. No details have been published as to the power of the speakers or the connections.